It’s best to wear loose, comfortable clothing. Have a small nourishing snack, if necessary, before your treatment. It is more relaxing if you’re comfortable and not hungry. After your treatment, avoid over exertion. Keep warm, covered and do not expose yourself to direct wind. It is helpful to hydrate yourself with water and to rest, if inclined to do so. 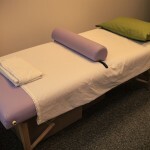 Each treatment can be different….after one you may feel the need to take a nap and rest; however, after a different treatment, you may feel invigorated. If any new symptoms arise, or if you have any questions about the process, please do call immediately with any questions. Often, a follow-up appointment may relieve any lingering symptoms that were not taken care of in one session. The following forms may be filled out before your appointment.